If you view professional facials as something that are just reserved for special occasions or for individuals who want to treat themselves to a luxurious experience, you are missing out on improving the health of your skin and looking the best you possibly can. There are many benefits that come from having regular facials done in the Birmingham, MI area. The first benefit that you can receive from having a facial done is the supervision and monitoring that is done by a skincare professional. You will have someone working with you who has received extensive training in skincare. Every time you visit our office, this highly trained individual is going to closely examine your skin. This professional will be able to address a wide variety of skin issues that you may be experiencing and help you to prevent other ones. Many individuals try to do a facial on their own. And while this does have some benefits, when you do facials at home, you are missing out on the benefit of working with a highly trained skincare professional. A second benefit is the high level of cleansing that is going to happen during the facial. There are many products that you can use at home in order to cleanse your skin. You may even steam your skin and try to extract your pores. However, no at-home treatments will be able to meet what you will receive during a professional facial. 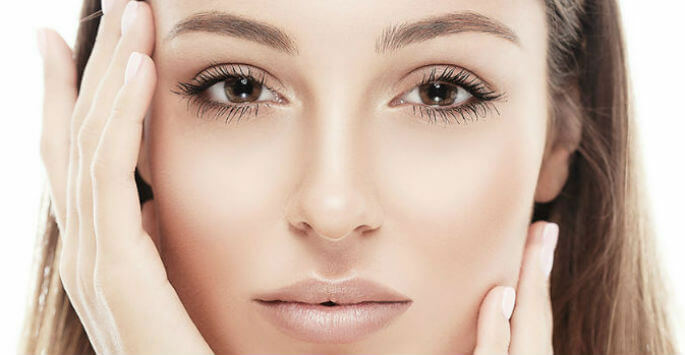 One aspect of a professional facial is extracting the pores, if it is necessary. This is done in an extremely gentle way. When it is done in this environment, you do not have to worry about infection, burst blood vessels, or any of the other problems that come with trying to extract your pores on your own. High-quality exfoliation techniques are also used when you have regular facials performed here in Birmingham, MI. Their purpose is to get rid of the top layers of dead skin cells. This leaves your skin looking fresh and bright. Additionally, these high-quality exfoliation treatments are going to encourage your skin to produce healthy, new skin cells. This is going to lead to healthier skin down the road. Don’t wait until you are already dealing with moderate to severe skin issues. When you visit Pinnacle Dermatology regularly for facial treatments, you will be able to keep your skin looking and feeling soft, smooth, blemish-free, and as youthful as possible. Contact us today to book a consultation at our office in Birmingham, MI!